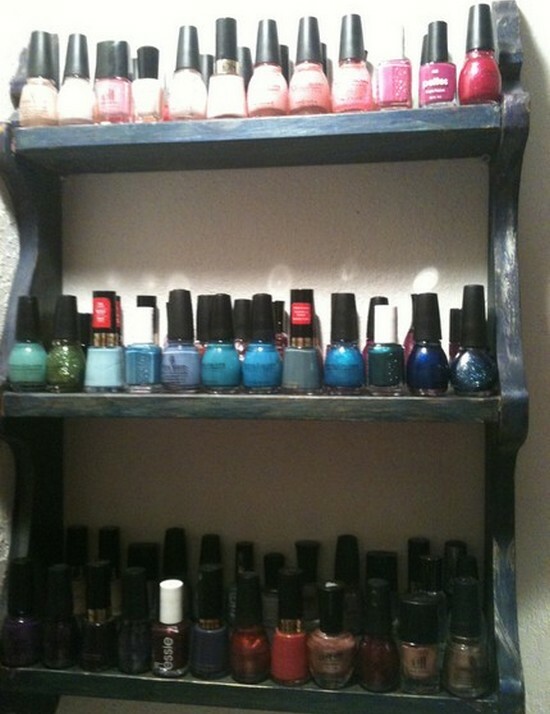 Nail polish storage has always been very bland for me, I just stick it in a sterlite storage bin, and it’s out of sight out of mind, but I like to look at my nail polish or I wont look at it, so I was trying to find a new way to store it, I like for my nail polish to be standing up so the polish doesn’t settle and ruin. 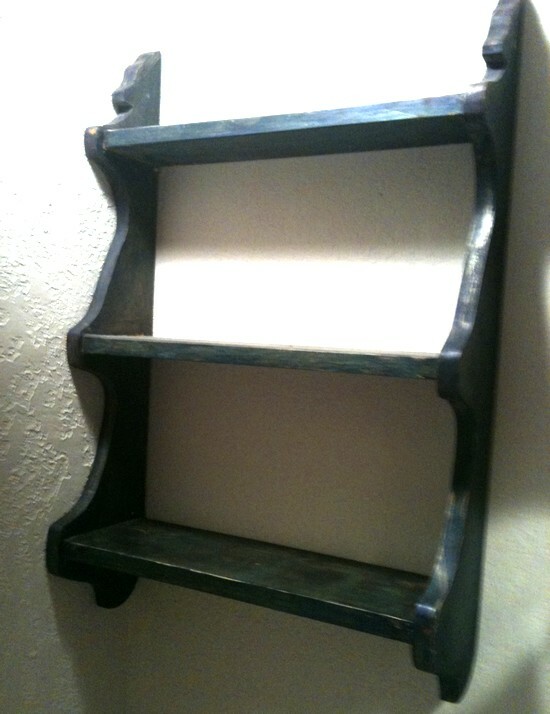 This was a hard task without spending a fortune on a nail polish rack, I came across this super cute blue distressed shelve while taking the garbage out, I’m assuming someone was just going to through it away, but it was in perfect shape so I snacthed it, and hung it on my bathroom wall forever ago with nothing in it, and today I had the brillant idea to put my nail polish on it! 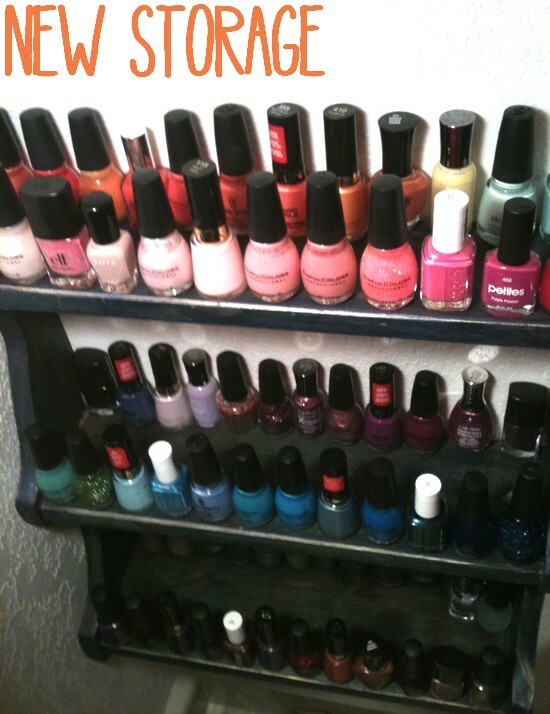 So I had the perfect plan, I wanted to put a row of nail polish on each shelve however, I did not realize how much nail polish I had, lets just say way to many to only have 3 rows, as I actually ended up needing 6 rows. I re did my organizing about times before I liked the way it looked and decided it was fine the way it was. This storage probably won’t last very long since I am always changing the way I organize things, but for now this works great, I like they are all standing up, that I can see each color, and they all have a place. 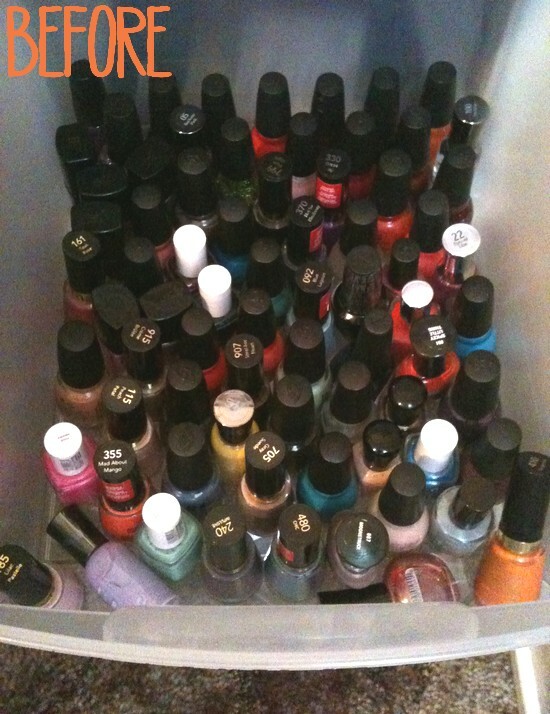 How do you store your nail polish? Leave your posts and comments below I love reading them!